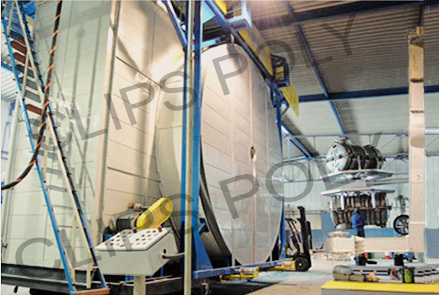 The Rotomoulding Plant with Multi Arm Shuttle machineâ�� Series CP is composed of Moulding Chamber ( Indexing )with attatched combustion chamber , High Velocity cooling fans with Fog heads , Arms conveyors .& Control Electric Panel. 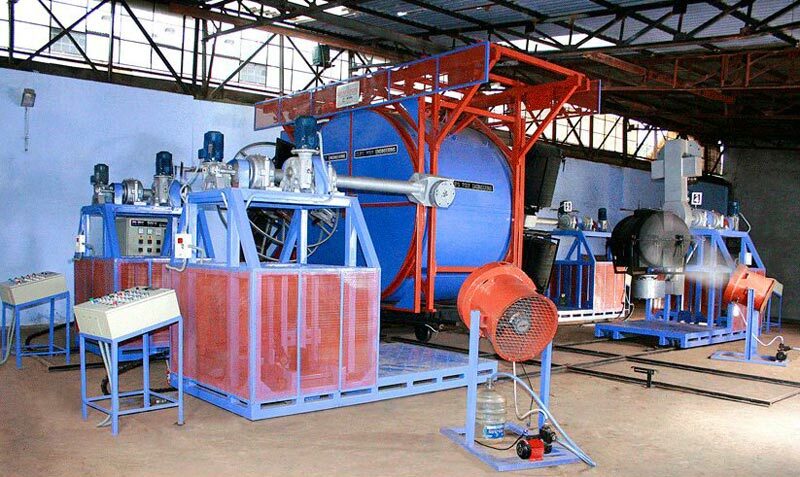 Shuttle Type Rotomoulding Machine is easy to install and promises optimum performance at low operating cost. Aerodynamic Oven Designed for maximum hot air impingement against the molds and feature counter-convection air flow to help even heating throughout the chamber area. Moulding chamber made of metallic double wall frame, thermically insulated with high density rock wool. 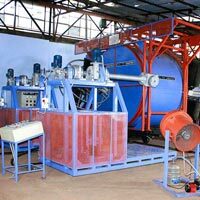 Burner (two stage) placed at the combustion chamber, heats the whole moulding chamber uniformly and keeps steady the process temperature recordings performed by thermic feelers installed in the moulding chamber. Centrifugal Fans with duct and louvers for adjusting hot air direction for correct distribution of the material inside the mould . Independent high velocity blowing fans for each Arm mounted on steel frame for uniform cooling. Smooth conveyor movement on straight track. Floor area provides two process stations.